Today on this very hallowed eve, we gather to recount tales long passed but not long forgotten. 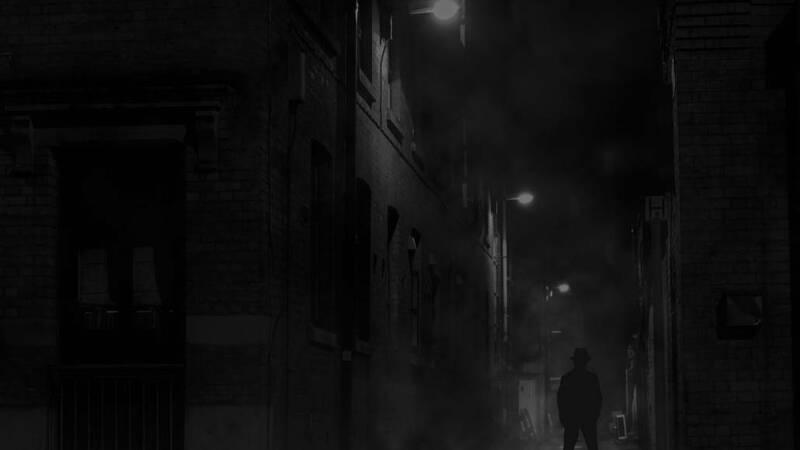 Tales you’ve undoubtedly heard as a whisper in the night but turned a deaf ear to out of disbelief…or perhaps…fear? The type of fear you can’t put a name to, yet it still unnerves you to your very core. The kind of fear you wish to forget. It is with the deepest regret, my dearest friends, that I cannot allow that. Tonight, we enter a realm of disturbingly endless possibilities. A world where time ceases to exist. A realm that occupies the delicate balance between our world, and a world unlike anything imaginable. Welcome dearest friends. Welcome home. The pitter patter from the tennis shoes of a non-existent companion as you walk through the park at night. The relentlessly nagging feeling that a passenger sits in the seat behind you on your drive home – yet the rearview mirror tells you that no such passenger exists. In the eyes of the scientific community, such feelings could be written off as mere phobias. More pointedly, apophenia – the need to relate two things that do not have any sort of genuine connection. I really do hate to be the bearer of bad news – truly. But what your feeling is no trick of the mind, no whisper in your head, no…apophenia. You may have been told at a young age that specters, spirits, and dimensional shifts are the writings of science fiction. Pity. But you and I know better – don’t we? Today I’m here to recount the story of one such instance where the whisper of your imagination is anything but imaginary. This is the story of a man that listened too closely to those whispers and paid the price for it. Take this as a warning, friends – as of right now it is not too late for you. People often affirm that seeing is believing and that the worst horrors are the ones that are burned into your delicate retinas. But what of the unsaid and unseen? The truth that you can’t put a name to? Perhaps a man walking down a cobblestone street, the faint splash as his footfalls hit the remnants of a miserably rainy afternoon. Each step beckoning him a step closer to his inevitable fate. Out of the darkness, a stark light illuminates the briefcase he carries in his hand. The letters H.T. etched elegantly into the side, signaling a man of wealth or of high social stature, though his gait would suggest anything but. Lumbering his way forward, each time the lightning illuminating his eyes yet those eyes having no light of their own. Just blind cold determination. He careens forward at an ever-faster pace – a bull forcefully adorned with the lance. The thoughts – erratic – careen through my head. I see nothing, but it doesn’t matter. At this point I’m navigating by sound alone. I ignored it at first, but the sound was incessant. Not a voice exactly, but a calling – a siren song. A nagging noise that pulls tighter the more a person was to pull away. Well I tried to pull away and now I’m here. Getting pulled further and further into the devil’s snare. But I think none of that now. All I can think, see, hear – care about – is the sound of her deafening silence. Each crack of thunder, explosive. And with them, comes her voice. I turn a corner and find myself brushing past the stabbing needles of fir trees, though I know that none exist in the half mile that I’ve walked outside my office. I’m sure I couldn’t have traveled more than that. With the next crack I stumble forward and glean the faintest of light escaping from its vestibule. I swing wide the door that contains it to find myself in the smoky entrails of what seems to be a gambling hall. The potency of the smoke me heave and I drop to the floor. At the sound, I rise with a start and reach my hands out for the noise, only to find them handcuffed together. I’m turned around yet again by sounds outside the room. I hear screams for help, and the chugging of a…locomotive? I run forward. No time to think things through. I run either towards the whisper or towards the screams, which it is I do not know. Bursting out through the door I trudge my way to where I think I heard the noises. I move forward with determination but with each step my legs feel resistance. I look down to find myself entrenched in water up to my knees that is quickly rising. Panicked, I look around. I’m inside a submarine. One reminiscent of the one I was stationed in during my tenure in the Navy. Was it the same? I had no more time for thinking as I found the water up to my neck now. Up and up it went. The water pulled itself above me and I let out a scream but I neither drowned nor pulled in oxygen. Darkness once again became my companion. What more can you want from me? I scream into the abyss. What more? I yell, and I yell. Please, someone take me away from this I yell. But no one comes. Please someone. Someone, find me. My screams turn into a raised voice which in turn becomes a barely perceptible mutter. It is all that I can muster with my failing strength. I whisper now. Repeatedly for I fear if I yell then I will wither away from the effort. Please I whisper to whoever can hear me. Relatives and last known associates report that Mr. Trapman had signs of an uncharacteristic distractedness confusion leading up the day of his disappearance. His wife, Mrs. Constance Trapman, is unrelenting in her assertion that she can hear her husband nearby, whispering for her. Though her disposition can be described as manic at best, so further testimony should be followed up with psychiatric involvement. Curiously, she has abruptly stopped more than one interview with authorities at the arrival of a storm. It was first assumed she was fearful of the weather. But later reports from multiple officers have described her mannerisms to be as as though she were listening intently, almost as if the thunder were telling her secrets meant for no ears but hers. Editors Notes: Come visit the last whereabouts of the Whisper Man and see if you can still feel his presence. Perhaps take a moment to listen closely to the silence, for it’s said that in the moments where you think your mind is playing tricks that it might just never be closer to the truth.